It pays to protect water quality when you apply to the Peel Rural Water Quality Program. 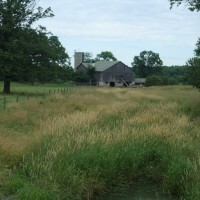 In 2005, Credit Valley Conservation and Toronto and Region Conservation collaborated with Peel Federation of Agriculture, Peel Soil and Crop Improvement Association and Region of Peel to create the Peel Rural Water Quality Program. The Peel Rural Water Quality Program is a voluntary program offering financial and technical assistance to private rural landowners throughout the Region of Peel. This program assists participants with the implementation of agricultural beneficial management practice projects, which protect and improve water quality. 5 For first application – 70% up to $3,000. For second and subsequent applications – 35% up to $1,500 and only available to farms that are 1) not currently phased into nutrient management legislation or 2) required to update an existing strategy and/or plan as a result of a voluntary best management practice project. 6 For first application – 70% up to $2,000. For second and subsequent applications – 35% up to $1,000 and only available to farms that are 1) not currently phased into nutrient management legislation or 2) required to update an existing strategy and/or plan as a result of a voluntary best management practice project. The list of eligible projects is not exclusive. If you have a project that is not on this list, you may still be eligible for financial and technical assistance. In many circumstances Peel Rural Water Quality Program funding can be combined with additional funding sources to provide up to 80% of the total project cost. Contact Peel Rural Water Quality Program staff to verify that your proposed project meets the guidelines and to arrange a site visit. Staff is available to assist you with planning your project and applying to the program. Applications are anonymously reviewed by the Peel Agricultural Advisory Working Group, a peer review group of local representatives with an interest in agriculture in the Region of Peel.